“There was no doubt that we were in for some bold, brawny music-making. And the orchestra didn’t disappoint.” So said the San Francisco Chronicle of Alan Gilbert and the New York Philharmonic in San Francisco, wrapping up the whirlwind CALIFORNIA 2016 tour to great acclaim. Music Director Alan Gilbert leads Principal Cello Carter Brey and the Orchestra in Schumann's Cello Concerto during a rehearsal before the concert on May 3, 2016, at Segerstrom Center for the Arts, in Costa Mesa, California, the first stop on the CALIFORNIA 2016 tour. Instruments: check. Music: check. Rad shades: check. Alan Gilbert and the New York Philharmonic went west this week for the CALIFORNIA 2016 tour, which launched with performances in Costa Mesa and San Diego. 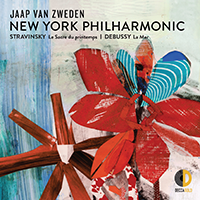 On this, the first cold day of fall, it gives great pleasure to announce that the New York Philharmonic is heading west. Music Director Alan Gilbert will lead the New York Philharmonic on the CALIFORNIA 2016 tour, May 3–7, 2016. The tour will feature four orchestral concerts with appearances in Costa Mesa, San Diego, and San Francisco. Principal Cello Carter Brey will perform as soloist in Schumann’s Cello Concerto. It will be the Philharmonic’s ninth tour, and the second to California, under Alan Gilbert’s leadership. CALIFORNIA 2016 marks the New York Philharmonic’s thirteenth concert tour under the aegis of Credit Suisse.